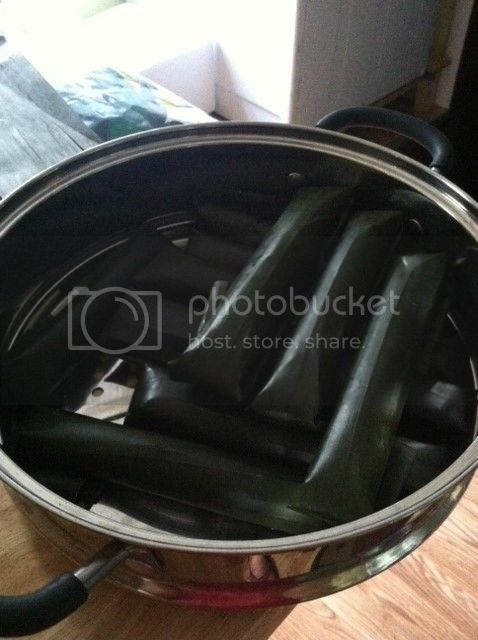 One of the Filipino desserts or snacks that I truly miss since moving into a different country is the Cassava root wrapped in a banana leaves and steam. Or mostly we called it "Balanghoy". I would say "Balanghoy" than the long name to describe what kind of snack/dessert this is made of. Anyways, I've been searching online the easiest ways to make the snack and I have done it at least 2 times before I mastered the process. I obtain the most simple, delicious and quickest recipe ever thank to modern technology I have found it online and plus a family recipe [in which it would always stay secret] is very useful. This is a grated cassava root, which you can find in your local store. The grated one is ready to make can be found in the freezer area. Also, if you want to grate it yourself, you can always find fresh Cassava root which can be found in the vegetables and fruits section. 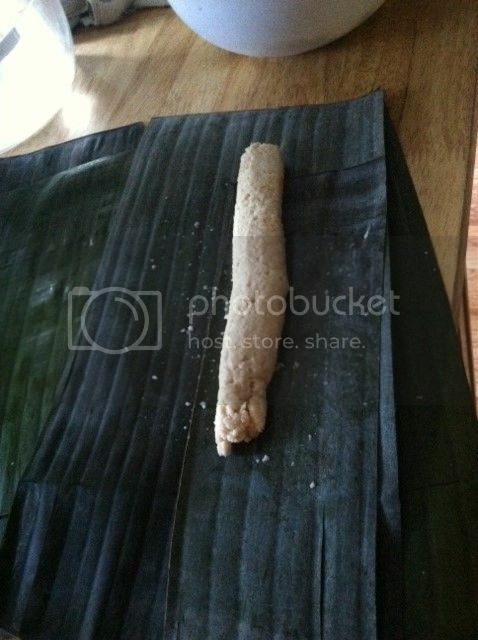 Moreover, I hope you'll enjoy making your own homemade Cassava Root wrapped in Banana leaves or "Balanghoy". *Combine the cassava and brown sugar in a large mixing bowl. Gently fold until the ingredients are well distributed. *Add the coconut cream. Stir until all the ingredients are well incorporated. *Scoop about 1/2 cup of mixture and arrange on one side of the banana leaf. Mold the mixture so that it appears to be cylindrical in shape, with the length of about 4 to 5 inches. *Roll the banana leaf to wrap the mixture. Make sure that the leaf is not loose so that the mixture can use it as a mold. Secure the top and bottom part of the leaf by folding it inward in the same direction. *Boil about 5 to 6 cups of water in a steamer. *Arrange the wrapped cassava suman on the steamer and then steam for 30 to 35 minutes or until the texture becomes firm. *Remove from the steamer and let the temperature cool down. Courtesy of Panlasang Pinoy Website. Yum. My grandmother used to make this and sometimes she would add coconut and jackfruit strips. Whah.. Yan ang fave ko. I can consume ten of them in just one setting. I miss that and the summan or puto, ayayay, nahomesick tuloy ako hahaha. That's one easy recipe! I want to try it, too. I love balanghoy! Wow! 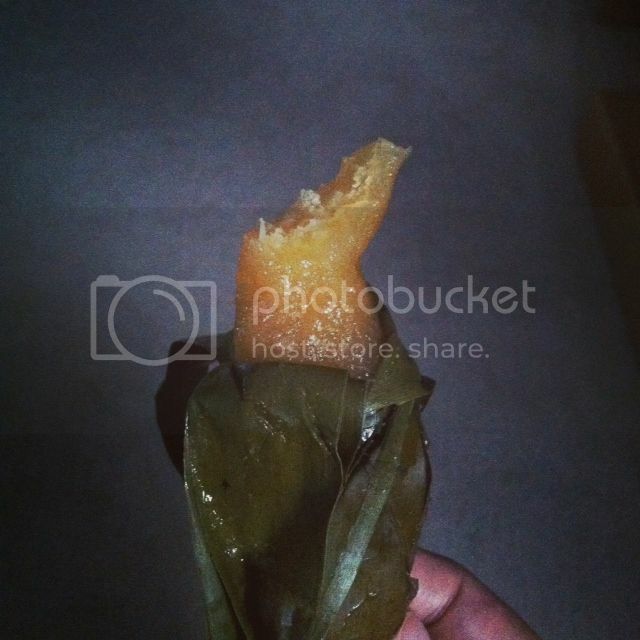 Suman made of cassava! I love it! The banana leaf makes it more delicious too!